HALF YEARLY EXAM QUESTION PAPER AND KEY ANSWER DOWNLOAD. CLASS 11 ECONOMICS ENGLISH MEDIUM STUDY MATERIALS FOR TOPPER STUDENTS BY V. MUNIYANDI, SRI RAMAKRISHNA VIDHYALYA MATRIC HR SEC SCHOOL, K. CHETTIPALAYAM. TIRUPUR. 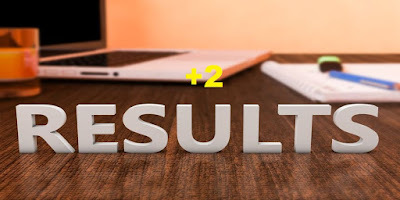 PLUS ONE - +1 - CLASS 11 - HISTORY - TAMIL MEDIUM - STUDY MATERIALS DOWNLOAD - A.ARIVAZHAGAN M.A., M.Phil., M.Ed., அரசினர் மேல்நிலைப் பள்ளி, வளையாத்தூர், வேலூர் மாவட்டம். CLASS 11 | +1 - HSC FIRST YEAR - ENGLISH PAPER 2 - STUDY MATERIAL 48 PAGES (NEW PATTERN) FOR FAST REVISION - MARCH 2018 - WAY TO SUCCESS | CLASS 11 | +1 - HSC FIRST YEAR - ENGLISH PAPER 2 - SPECIAL GUIDE FOR FAST REVISION -MARCH 2018 - WAY TO SUCCESS. PLUS ONE PUBLIC EXAM MARCH 2018 | பிளஸ் 1 பொது தேர்விற்கான மாதிரி வினாத்தாள் அமைப்பதற்கான அரசாணை வெளியிடப்பட்டுள்ளது. PLUS ONE-CLASS 11-HSC-11TH - MATHS EM AND MATHS TM - MODEL QUESTION PAPER DOWNLOAD. PLUS ONE TEXTILE AND DRESS DESIGNING TM AND TEXTILE TECHNOLOGY TM MODEL QUESTION PAPER DOWNLOAD. PLUS ONE GENERAL MACHINIST MODEL QUESTION PAPER DOWNLOAD - CLASS 11-HSC-11TH - GENERAL MACHINIST TM - MODEL QUESTION PAPER DOWNLOAD. PLUS ONE AUTO MECHANIC TM MODEL QUESTION PAPER DOWNLOAD - CLASS 11-HSC-11TH - AUTO MECHANIC TM - MODEL QUESTION PAPER DOWNLOAD. i need all plus one english medium quaterly question papers for tamil,english,economics,commerce,accountancy,computer science. sir please provide English medium Bio-Botany study materials.. we are thank full to you. Sir...Thank u so much...Please Sir..I need chemistry solved problems..
please will you provide the study materials and question papers for pure sci botany and zoology. provide study material for communicative english..